Every fictional character goes through a genesis of sorts during the creation process, be it big or small–it’s just natural for an author to either polish up or improvise bits to a character during the creation process, or to change their mind completely and start over. 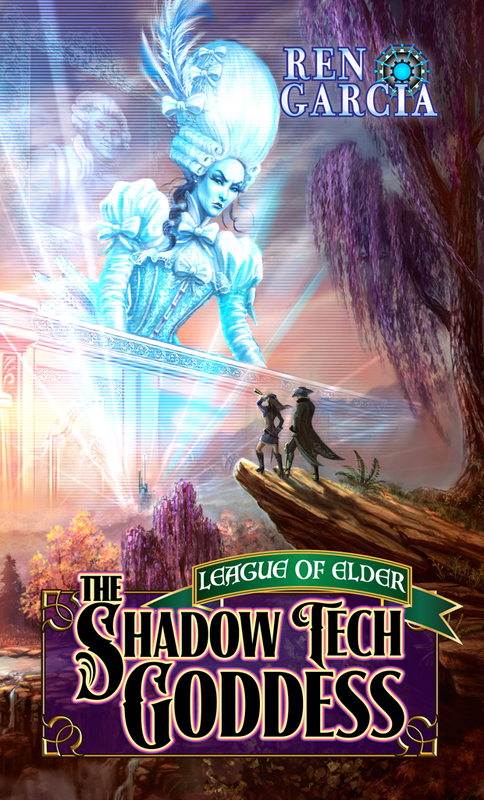 It was doubly so for Kat in the upcoming LoE book 12: The Shadow tech Goddess: Kat. I changed her so much she really isn’t the same character as when I started. I do that a lot, though. As I prepare no notes or pre-plan no outline for a story project, I tend to frequently change course, get inspired, add tid-bits, or, change direction entirely. I’ve cut lots of pretty cool stuff because I either thought I was treading over previously covered ground or could find no good use for the material. The Temple of the Exploding Head trilogy is nothing like what I started out with–nothing. And so, we come to LoE Book 12: Kat. 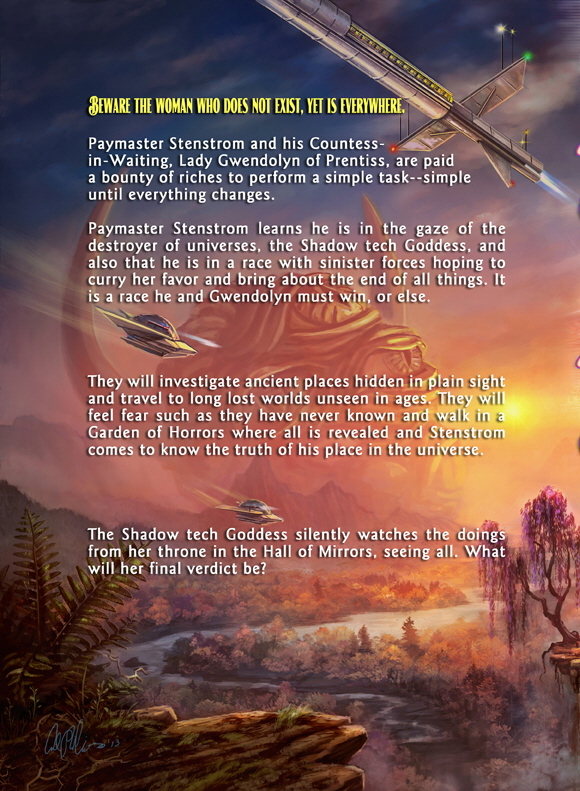 First introduced in Book 8: The Shadow tech Goddess, as one of the 7 potential love interests for Paymaster Stenstrom across the universes, my original intention with Kat was to simply pull her off the page as is and resume her tale in Book 12 with little or no intro or preamble. In StG, Kat was a Black Hat sent with several others to infiltrate the Ruins of Clovis in the Kanan north and uncover evidence of the identity of the Shadow tech Goddess. It was, essentially, a suicide mission with the possibility of success remote at best. 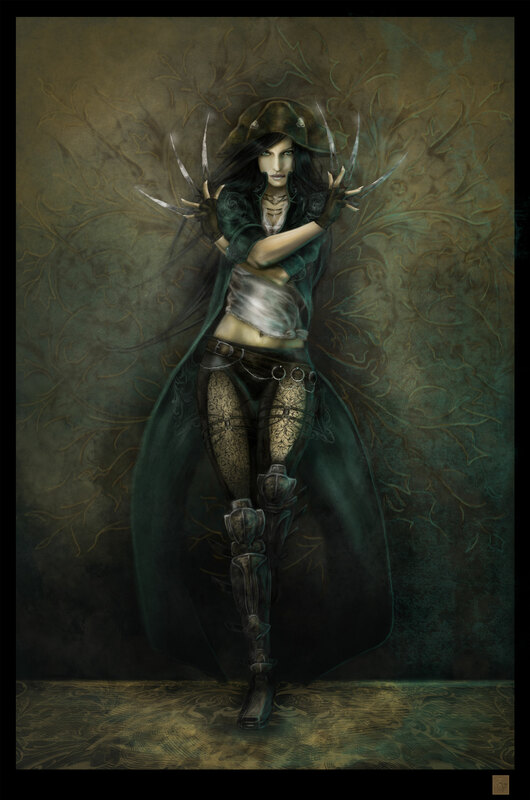 Kat, as she appeared in Book 8, The Shadow tech Goddess, by Eve Ventrue. Kat was a Knife-class Black Hat, very mobile, very heady with micro-line Shadow tech. When Paymaster Stenstrom came upon her in the cold ruins, she was alone, her two nameless companions dead, killed by whatever lurks in the depths beneath Clovis. She was cold and uncaring, limber to the point of being rubbery and quite ruthless. 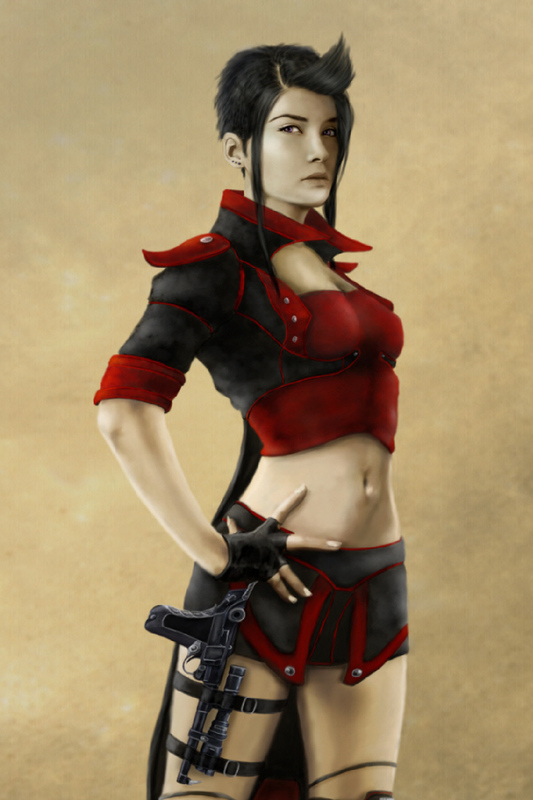 This somewhat limited character is what I hoped to make the heroine in Book 12. I made a good go of it, but, as I neared the completion of the first draft, I realized something. It’s important for an author to be able to step back to see the naked truth as it unfolds before them. Though I loved the limber, blonde-headed Kat (I had based her off of Ginger Rogers), I had to face the fact she was not only a re-tread from previous characters in the series, she had no life. She was plain boring. Her transformation from Black Hat to loving Countess had already been done (as with Syg and Duchess Torijayne of Olyn), and her love for Paymaster Stenstrom bordered on the dreaded “Insta-Love”. I stopped writing. I knew action had to be taken. I figured I’d go back, add a few scenes to the beginning of the book, flesh-out Kat a little bit and give her her own path. Shouldn’t take too long, I thought. It would take half a year and about 40 thousand words before I was done, the “few scenes” I wanted to add took on a life of their own and Kat would never be the same. I started from an elemental level, following Kat as she struggled to survive in the Black Hat’s horrid training facility, the Shade Church. I took away her mastery of Shadow tech, making her a novice in the extreme (though I would have to figure out a way to give her mastery back again by the end of the book). I gave her mentors, those watching her from afar, weeping as she suffered under the Black Hat’s heel. I even included Kat’s sisters, those sent with her to Kana. I also added the gods, people in far away places, mystical items, the works. I threw the lot at Kat, and her transformation was stunning. Gone was flat, boring, Kat, replaced by a remarkable new character, full of life, one that I was proud of. Fueled by these changes, I finished the book in no time. Kat is in the initial stages of pre-production. It should be out by 2018.
copyright 2016, Ren Garcia, Eve Ventrue and Carol Phillips.